What Does The Renovation Of A Public Library Mean For D.C.’s Homeless? 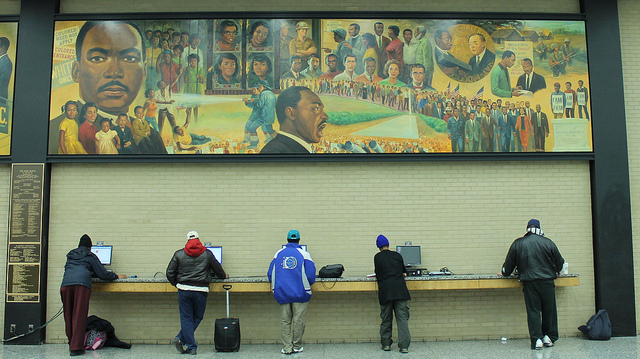 D.C.’s Martin Luther King library recently closed for a multi-year renovation project. Among the many communities who won’t be able to use the space until 2020 is a group of homeless patrons who have long used the library for community building, job preparation and more. Kojo explores where libraries and other public facilities fit into the city’s strategy for caring for the homeless, and how others invested in the issue are reacting to the closure.